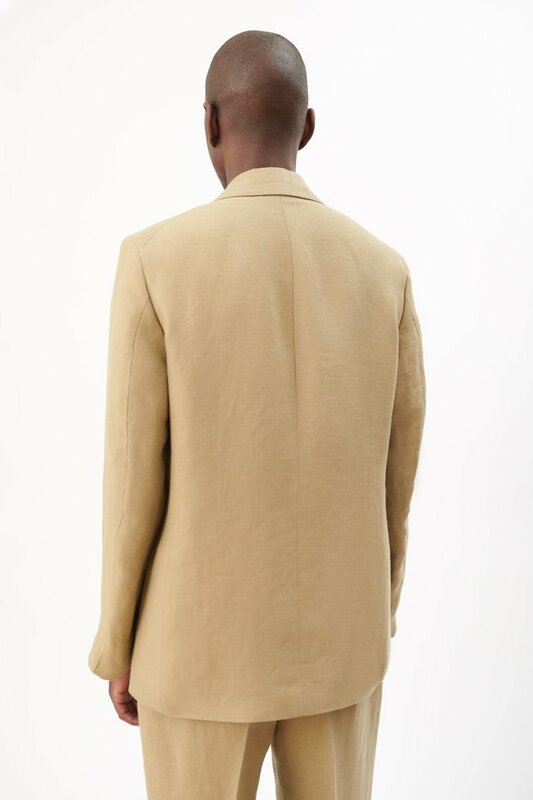 Our Unconstructed DB Blazer in Raw Olive. 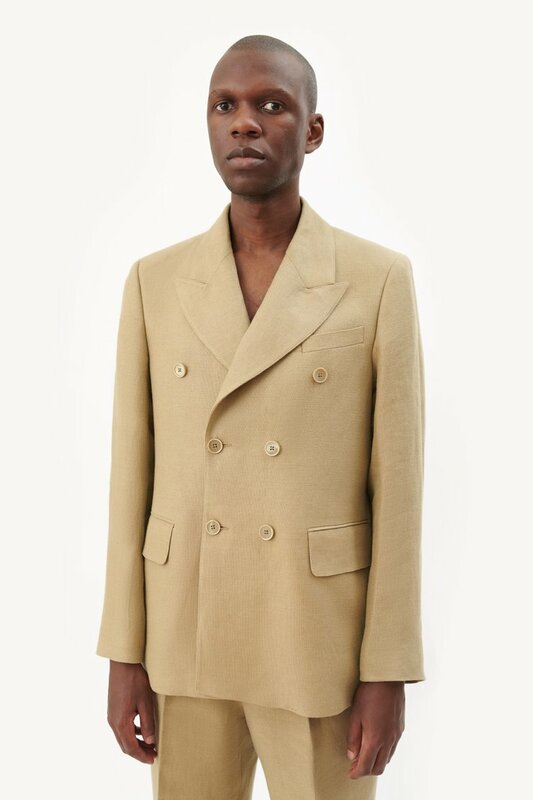 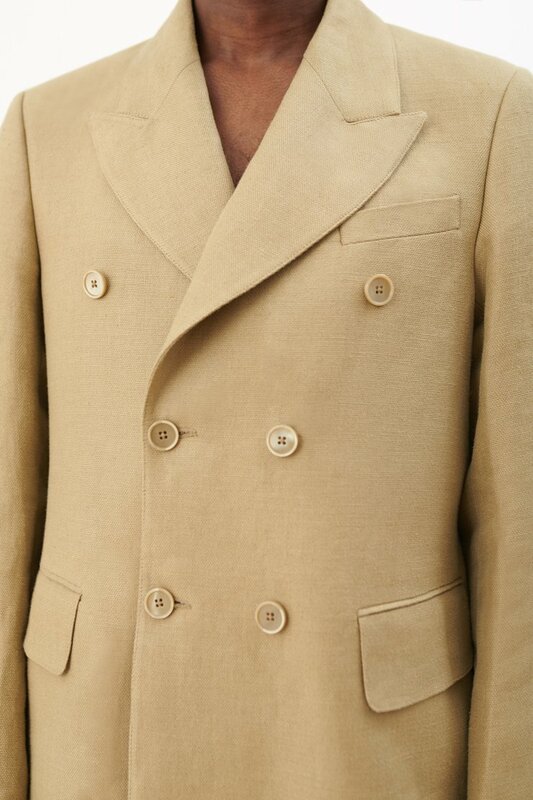 Produced in an Italian linen fabric, this fully lined mens double breasted blazer has a relaxed tailored fit and features a peaked lapel and horn buttons. 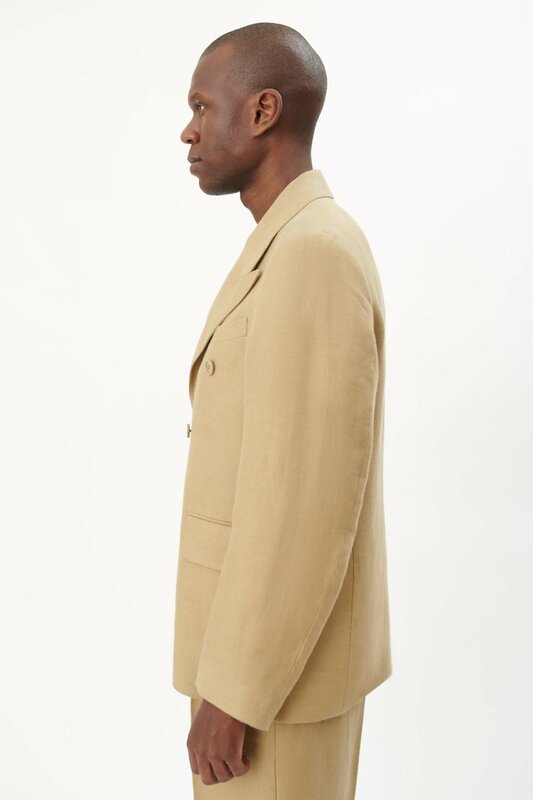 Unconstructed DB Blazer is true to size with a relaxed tailored fit. 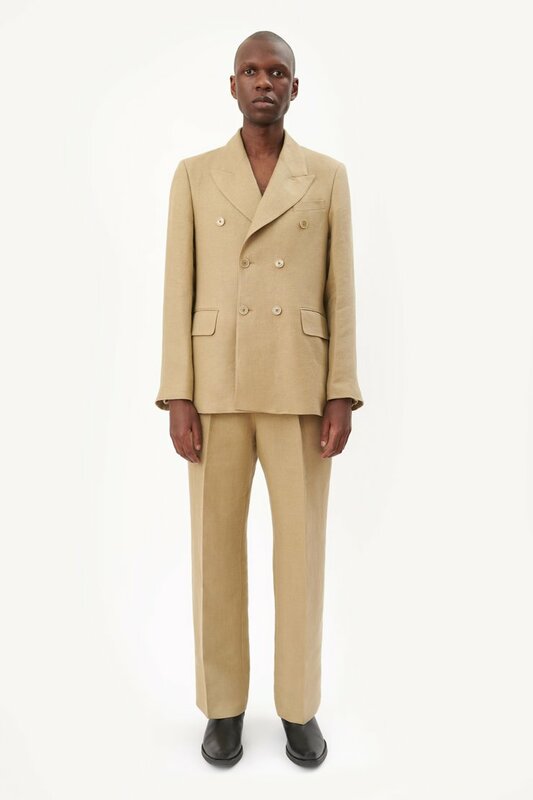 The model is 188 cm tall and is wearing a size 48.